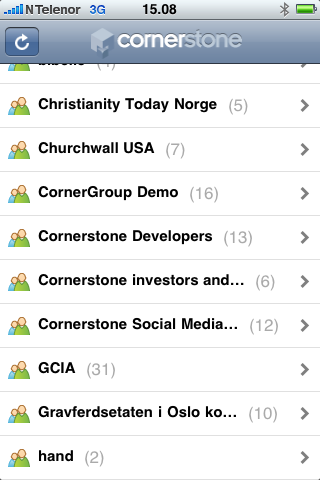 Imagine bringing your Cornerstone groups with you on the run. How can you know who are in your brand new small group? How can you get a hold of the new guy who joined last time without going through yellow pages or being Sherlock Holmes? 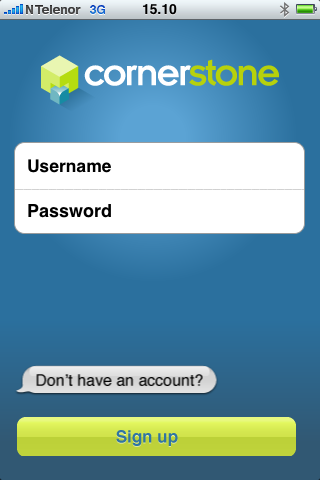 The Cornerstone iPhone app is the answer. Here you will find ALL your groups, all their members, and all their contact info as they have chosen to share it with their groups. 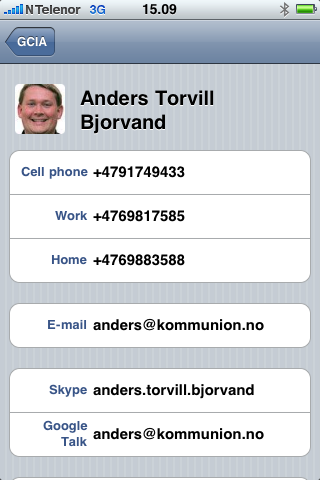 Even better: at the tap of a finger, you can send them an email, text them an SMS or simply call them. And you will of course also see their photo for easier recognition. 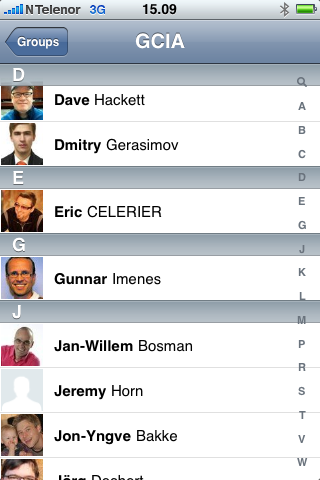 And it's all fully searchable.